Great feedback often surprises recipients. They don’t see themselves clearly. Frankly, none of us do. Your feedback was rejected. Now what? If we open our hearts at all, it’s to people who care. If you don’t care, walls go up. Are you fully committed to the best interests of feedback recipients? Or do you have an ax to grind? If you’re trying to be useful, press forward. But if self-interest motivates you, forget about it. You’re the issue. I’m ashamed to say that sometimes I fall into the trap of defending my feedback. Recipients don’t like the message. They act defensively. So do I. It’s a black hole. Don’t let the person receiving feedback hijack the conversation. 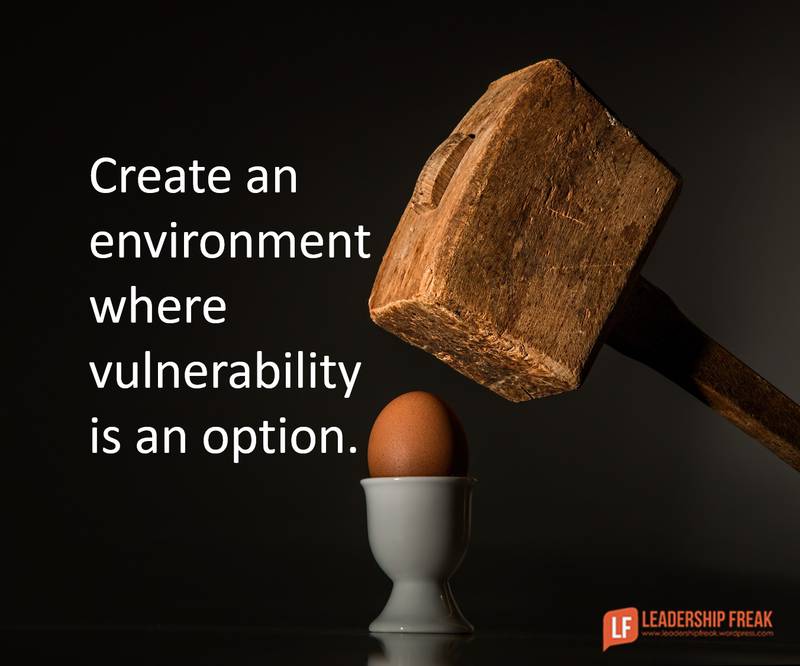 Create an environment where vulnerability is an option. Defensive reactions call for curious responses. Manage the direction of the conversation. Don’t engage in a “yes you did – no I didn’t” conversation. Respond with a question when facing resistance. Go through the senses. What are you thinking? What are you feeling? What are you hearing? What are you seeing? Hitting their prefered way of thinking may help them open up. Imagine, if this feedback was true, what would you say next? Imagine, if this feedback was true, what would you ask? Explore intent vs. impact. What did you intend? What is the impact? When someone is resistant, what do they do? What’s at stake for you right now? If the feedback was given in written form, ask them where they were when they read the feedback. How were you feeling when you read this? What was happening for you? How might leaders respond to defensiveness to their feedback? **Thanks to the internal coaches from All4 Inc. for their insights on this topic. I just wanted to take a moment to say I really loved yesterday and today’s discussion on negative feedback. Human nature is so egocentric it’s funny. When you give me negative feedback, you’re mean, playing favorites, or just don’t get it. When I give negative feedback, I’m being good, kind, and trying to save your job. The technique to ask questions, no matter which side of the feedback you’re on — is really helpful, but takes prep and practice. I’m going to be giving some negative feedback today and I loved the questions “Imagine if this feedback was true….”, and, “What’s at stake for you right now?” Thanks Dan! Thanks for some helpful reminders about how to redirect the conversation and making sure the feedback is meant to be helpful, Dan. I’d ask the person if they’d like some time to process and set a time to meet again the next day to discuss it. Sometimes reflection and distance can help with hearing the message. “Invert! Always INVERT!” said Charles Munger (WBuffet’s right hand). Take the advice in the blog and use it to manage upward … it can’t work … the feedback “loop” gets short-circuited. From a position of authority, “This conversation isn’t going as expected,” is hostile … passive aggressive. Good leaders were once good followers (managing upward) … the very first response a good follower would establish when surprised &/or put on the defensive is, “Is this a two-way DIALOGUE/exploration – or a one way “conversation”/directive (presumably to change something)?” That would contradict Trap #1 advice intent of control from the outset (which contradicts #3 curiosity at any rate), establish the boundaries/limits of #2 vulnerability, and determine if there is going to be a counter-defensiveness where any amount of vulnerability/honesty would be foolish for the responder. It is far better to START feedback conversations with a preemptory and personal question, e.g. “Is something wrong?” and find some basis in the answer to start to get to your point … e.g. “Nooo .. why?” “Because I have a concern/issue/problem, and I need your help.” etc. I think you hit the nail on the head with this one. What the motives are for the feedback play a huge role in the situation. If the motive is self-serving I believe they will be able to feel that; however, if the motive is to serve them I think simply stating that will often times defuse the situation a bit. Thanks for the shout out Dan! 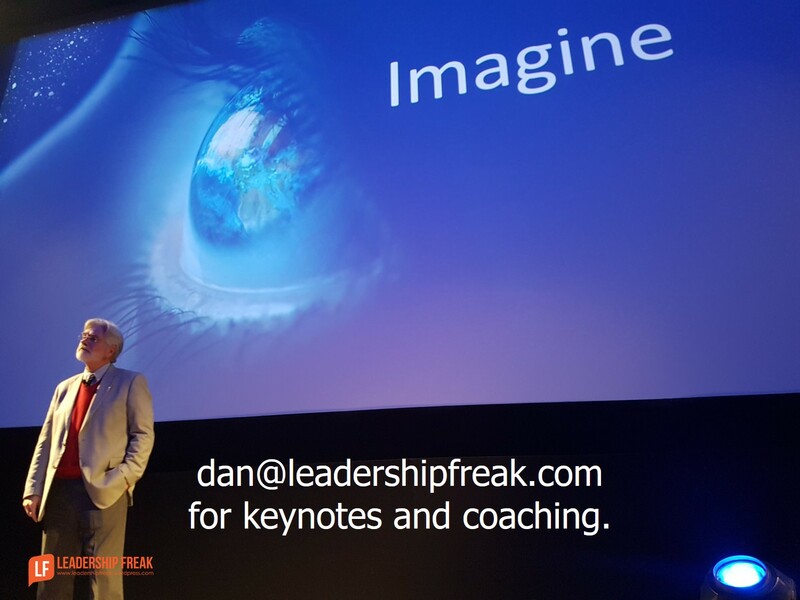 Glad that we could contribute in some way….we all love our sessions with you and I highly recommend companies that are interested in developing a coaching culture to read this blog and engage with Dan. You are most welcome! It’s such a pleasure to work with the All4 team. Thank YOU for the shout out. Appreciate you approaching the topic… I find defensive behavior a toughie.. I tend to CTRL-ALT-DEL and try to loop back on another occasion. …when folks sense you genuinely care they open themselves to hear, even then a defensive posture creates an uphill conversation. Your charisma in the eyes of others can skyrocket when you give consistently relevant, even-handed feedback… and it can go down in flames faster than you could ask yourself “what happened?” When PM evaluates benefits and risks (you could even SWOT it) of giving feedback, it is usually given in the best interest of self-preservation, which is why most PMs are reluctant to give substantial feedback. Can you do it differently? Only if you “Create an environment where vulnerability is an option.” as Leadership Freak wrote in his article. Thanks for these recent articles on feedback, Dan. The challenge I find is applying this to remote workers who are also freelancers. We culturally discourage in-person, phone or video conversations, and some don’t even like using our chat system (Slack, for what it’s worth). So, getting this type of feedback into email form is extra difficult, though not impossible. I think there’s a larger organizational challenge in how we communicate and hire, but one battle at a time!